The Cultural Infrastructure Plan, launched by the Mayor of London, is an initiative to support and grow cultural spaces in the capital for generations to come. 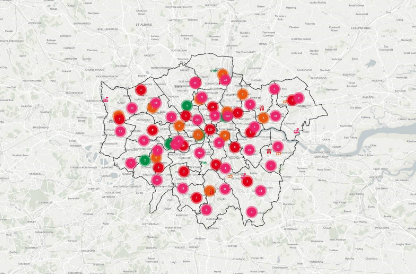 Within the campaign is a new Cultural Infrastructure Map, showcasing over 25K entries and bringing London’s cultural landscape to life. We have added all of our cultural, pub and late night venues to this map (submitted and waiting for inclusion) and members of the public and venue operators can add to it here. London sealed its reputation as a world leader for art and design teaching with the Royal College of Art and University of the Arts London securing first and second place respectively in the QS University World Rankings out of 200 of the world’s top universities. Love Wimbledon work alongside the Wimbledon College of Art and local graduates for our arts market, installations around town and campaigns to celebrate local talent and we look forward to this continued relationship. 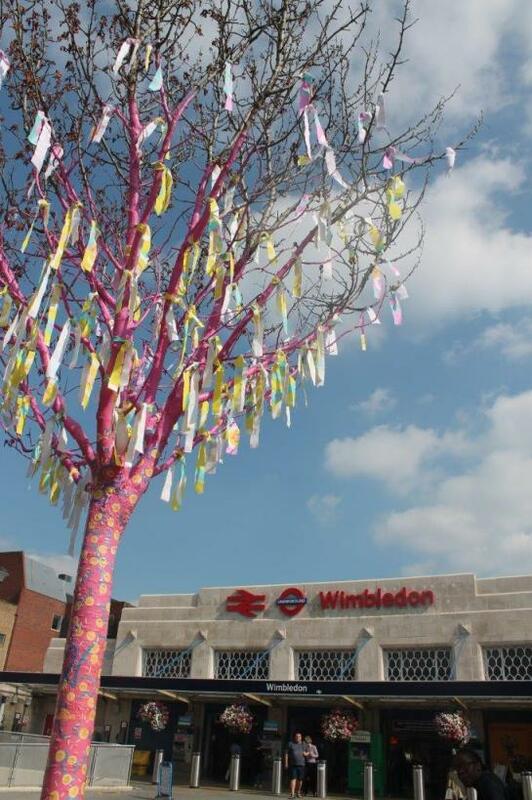 Pink Tree Installation by Wimbledon College of Art Graduate, 2014.